When: Saturday, November 16, 2019. Deadline: Online entry by Wednesday November 13, 2019. NO ONSITE REGISTRATION ON THE DAY OF THE TOURNAMENT. Pre-Order a Queen's Quest shirt by noon on Friday Nov. 1st, and it will be available for the tournament. Use the link below to place your order in youth or adult sizes. Price: $15; MCCL member price is $10. 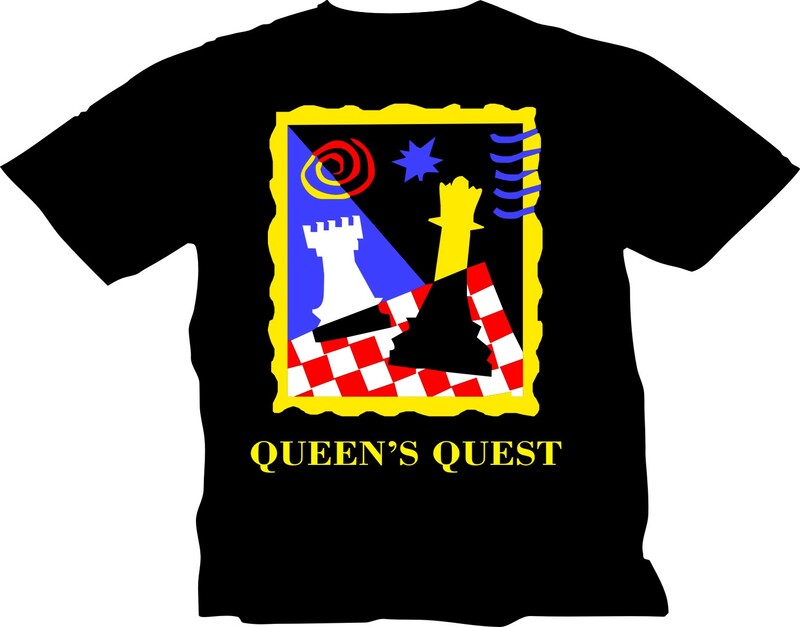 Queen's Quest is the largest chess tournament in Madison, and the design for the shirt stays the same. If you own a QQ shirt, wear it during the tournament!